Pacers @ Mavericks NBA Bookies Nightmare Free Best Bet. Charliessports.com produces it for Basketball Betting. NBA Nightly Expert Betting Picks are the best in the industry and will continue through the NBA Finals in June of 2019. We’re always providing BETTOR Friendly cards. Our signature 500* premium ATS Predictions are unreal & I promise you won’t regret purchasing, cash in Daily. The (40-21) SU, (32-29) ATS Indiana Pacers were beaten by Detroit 113-109 their last time on the hardwood as 2′ point road UNDERDOGS AGAINST THE SPREAD to Detroit Monday. Indiana trails first-place Milwaukee by 6′ games in the Central division, and they’ll return for a three-game homestand beginning Thursday. February 28th. They continue to play at an elite level without star Victor Oladipo but how long will it last?. Indiana is 6-1 ATS their last seven after scoring 100 points or more the previous game. The OVER is 7-3 the previous ten between the teams. Indiana is 0-4 AGAINST THE POINT SPREAD their past four on Wednesday’s. OVER bettors have made a profit in the Pacers last four after scoring 100 or more points their previous game. 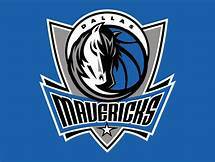 The (26-34) SU, (34-25-1) ATS Dallas Mavericks look to break a five-game skid tonight after their 121-112 loss to the Clippers as 3′ point road UNDERDOGS ATS on the 25 of this month. Rookie Luka Doncic returned to the lineup and responded with a team-high twenty-eight points going 4 of six from beyond the three-point line. Many around the NBA believe Doncic has hit the rookie wall, but he looked efficient in Monday’s loss. Dallas is 7-2 AGAINST THE POINT SPREAD their last nine at home vs. Teams with an SU winning record. The Mavericks are 1-3 ATS their last four at home. The UNDER is 7-1 Dallas last eight against central division opponents. OVER bettors have profited 3 of the Mavericks last four overall. Wednesday’s game is 8:35 PM EST at American Airlines Center in Dallas, Texas. The local network will be broadcasting. The Betting Line has Dallas as 1 point home UNDERDOGS ATS. The TOTAL is 215′ points for Wednesday’s contest. Indiana Pacers head coach Nate McMillan is doing a masterful job keeping his team competitive after they witnessed a gruesome injury to their leading scorer Victor Oladipo. The Pacers have won 8 of their last ten SU; they’re third in the East behind Toronto and Milwaukee. Pacers Wesley Matthews (13.6) points per contest in five games in an Indiana uniform faces his former Dallas teammates after getting traded. Defense propels Indiana as the (103.3) ppg they allow opponents in the second league-wide. At the other end of the floor Indiana averages (108.6) ppg of offense while Myles Turner, Thaddeus Young along with Domantas Sabonis makeup, the 24th ranked rebounding team in the NBA. The top team of NBA handicappers at Charliessports.com is 11-1 going on or against Indiana ATS/TOTALS and tonight’s FREE PICK combined with our 500* Bookies Nightmare will bring clients huge profits for pennies on the dollar. 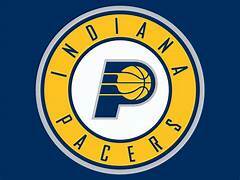 A key for Pacers win is to force turnovers which affected Dallas in the loss to the Los Angeles Clippers. Soon to be twenty-year-old sensation Luka Doncic (his birthday is Thursday) has gotten plenty of attention in his initial season. There’s no doubt Mavericks fans are looking forward to Doncic and former Knicks star Kristaps Porzingis on the court together next season. Doncic has had a profound effect around the NBA in his rookies season, but Dallas is on the outside looking in where the playoff is concerned. The Mavericks are nine games behind first-place Houston in the Southwest division and need a win in the worst way tonight to build confidence. Dallas averages (108.7) ppg on 42.0% shooting from the field with Doncic (20.9) ppg the leading scorer. Tim Hardaway Jr (16.5) ppg in seven games is finding a comfort zone without the pressure of playing in New York City. The Mavericks allow the opposition (109.3) ppg on (46.0%) from the field and (34.0%) from beyond the three-point line. This Sports Handicapper is aware that future hall of farmer Dirk Nowitzki doesn’t have the energy to put the team on his back the way he once did. However, he’s showing Doncic how to prepare for longevity in the NBA. Dallas shot the ball well against the Clippers, and they’ll need to put the ball in the basket tonight to break their losing streak. Free Pick. Indiana-1 Point. Also Play Online Poker Plus Other Casino Games and enter some of the best Tournaments on the World Wide Web.